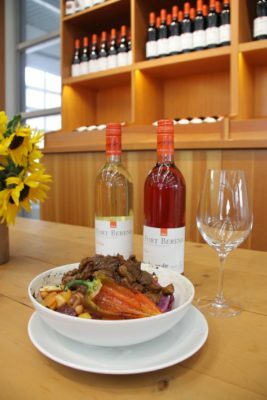 Fort Berens, Monte Creek and Privato Vineyard and winery are among the best places enjoy a nice glass of Riesling and Rosé according to The Best of BC Wine Country Awards. The awards which were picked through an online crowdsourced survey curated by the BC Wine Institute, invited the public to vote on their favourite B.C. wine experiences from a variety of “Best of” categories: Best of BC Wine; Best of BC Place; Best of BC Experience. Wine lovers voted for their favourites in each of the various B.C. wine regions, including the Okanagan Valley, Similkameen Valley, Vancouver Island, Gulf Island, Fraser Valley and the new appellations (Thompson Valley, Lillooet, Shuswap and Kootenays). As voted on by the public, the Best of BC Wine Country 2018 included the following regional awards for Fort Berens, Privato and Monte Creek. Rolf de Bruin, co-founder and co-owner of Fort Berens explained the importance of the awards. “The results show authentic recommendations from the public on what to do and where to go for the best wine touring experiences throughout B.C.’s diverse wine regions and we are thrilled to share their choices,” noted Maggie Anderson, director of communications and content of the BC Wine Institute. Ashley Demedeiros with Monte Creek Winery also expressed her happiness in winning an award.